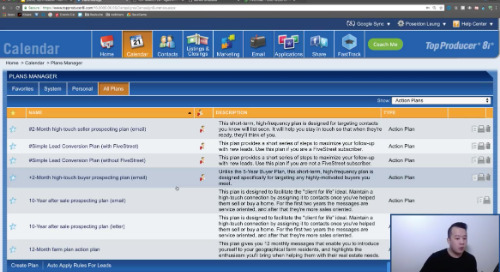 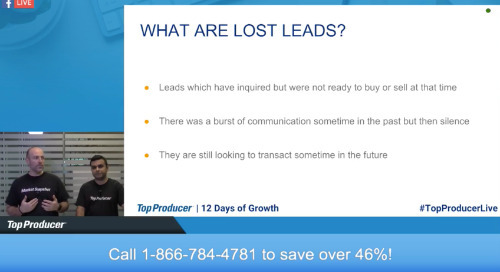 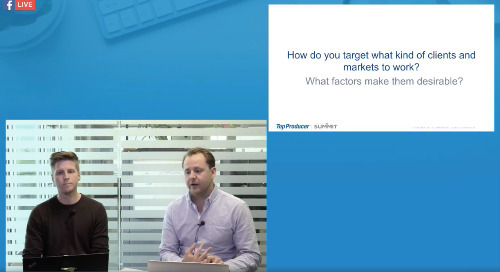 In this Pro Series video, Jon Leung shares some expert-level Top Producer tips & tricks on "Engaging the Customer: From Lead to Past Client." 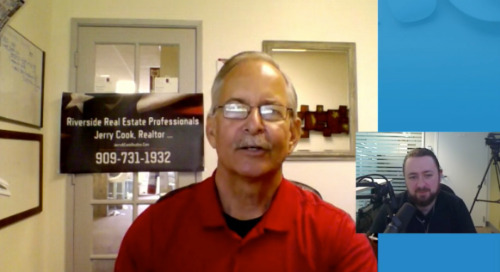 Jerry Cook, a 25-year real estate veteran, shares his strategies, as well as his pro tips on organization within Top Producer®. 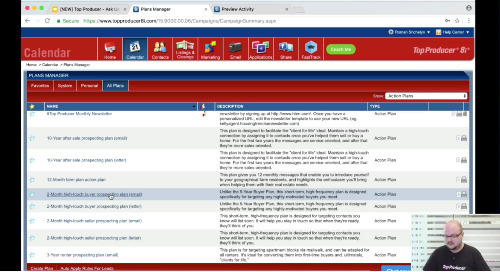 It's time to take ACTION! 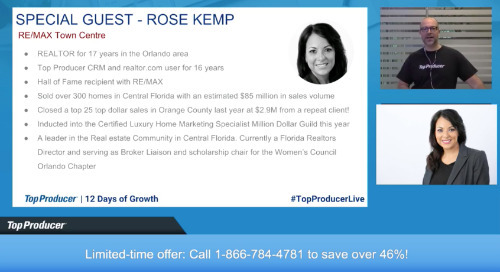 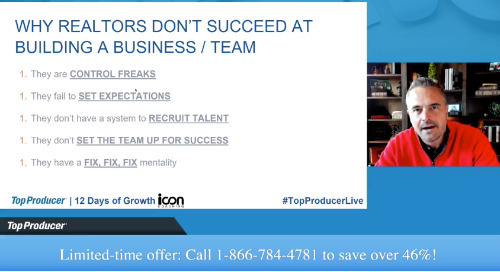 In this session, we deep dive into the advanced practices of how to best utilize Top Producer® Action Plans. 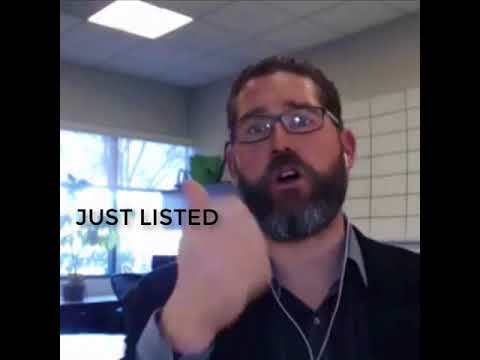 Learn how top agent Jason Dryburgh selects and targets the right neighborhoods/clients, how drip market reports REALLY help, & more advanced tactics. 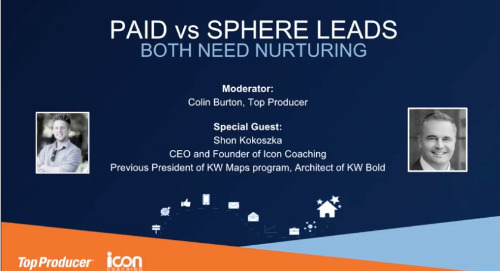 Learn how Shon Kokoszka went from being a single agent to building his own team - producing over $1 billion in total sales volume! 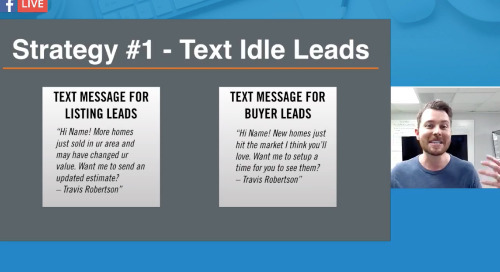 Learn real estate coach Travis Robertson's innovative ways to increase lead quality while driving down cost. 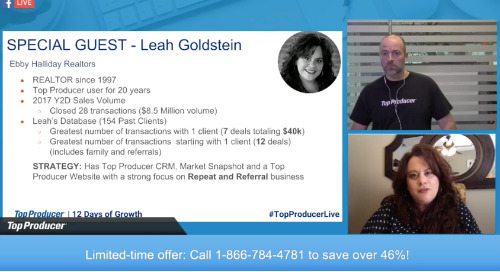 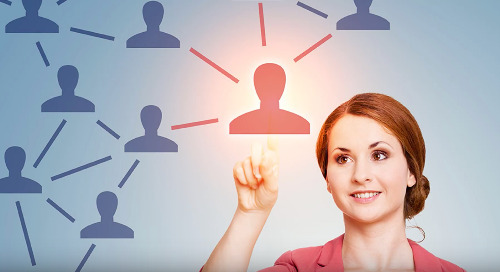 Find out how successful agent and Top Producer® power user Leah Goldstein keeps her repeat and referral business thriving. 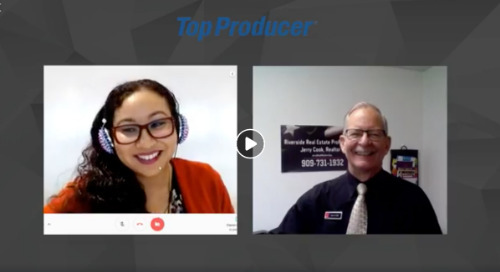 Shon Kokoszka shares tips from some of real estate's most successful agents, including simple strategies you can implement today to increase productivity and profitability. 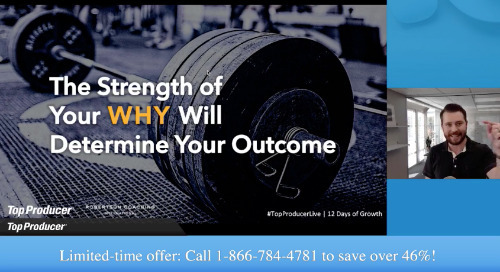 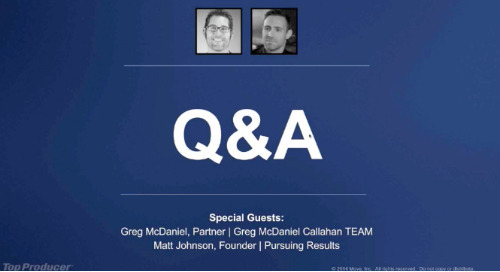 Travis Robertson shares the 5 strategies and action plans you need to implement right now to accelerate your business growth and crush your goals.